Curvaceous detailing decorates the saddle-shaped flap of a black crossbody bag handcrafted from sumptuous Italian leather. 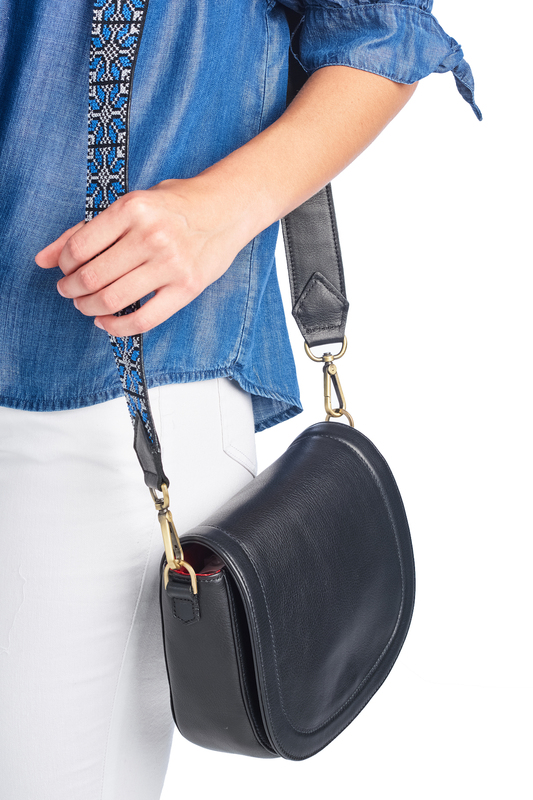 The handmade Palestinian shoulder strap makes this saddle bag a definite must-have statement piece. This medium sized handbag is perfect for a daily bag. The black leather will go great with everything. Limited Edition. Love this bag, it goes good with my entire wardrobe. – Jennie B.